Cy-Kill drove at top speed, surveying the vast desert of the planet he’d crashed on. Having left his ship behind, and the two dead renegades inside, he sought out a way to escape. Before crashing, he’d seen a massive starship pulling into port, but was unable to find it along the dusty horizon. While his first concern was escaping the planet and returning to Gobotron, he couldn’t help but fixate on what had brought his ship falling to the surface in the first place. Even from orbit as they passed over, they could see the black plume of smoke stretching from the ground. “What’s that?” Crasher had squealed upon seeing it. “Must be a big battle,” Cop-Tur replied. Crasher piloted the ship in a slow decent until the sensors could detect the source. A fortress, the front adorned with a massive bovine skull on a towering metal X. No damage could be seen around it, and in fact the smoke came from within the structure. “I don’t see anything,” Cop-Tur said. And then he did. They all did. The smoke wafting up into the sky from the fortress reached over towards the ship and tendrils of black soot spread out, forming a hand. It grasped the ship and before flinging it across the desert, the face of a massive bull appeared and sneered at its passengers. “You don’t belong here,” it said, and Cy-Kill was tumbling through the sky. Above the motorcycle, among the craggy cliffs, the mystical outlaw watched it traverse the sandy terrain. Tex Hex hadn’t seen the vehicle before, but being able to drive without a driver cemented in his head that this was a new partner for Marshall Bravestarr. Maybe an upgrade of his shaggy Equestroid, Thirty/Thirty, replacing legs with rubber tires. Would it stand upright as well? Whatever it was, it spelled trouble for the Carrion Bunch. And Stampede himself had told Tex to snuff it out, so it had to be bad. Tex mounted his Skull Walker and flew off the cliff after the bike. As it sped under a massive natural archway, Tex Hex drew his trusty blaster and shot an energy bolt just to the side of it. A burst of sand erupted next to the bike, almost sending it rolling over. The circled around, a rooster tail of sand spraying up behind it. As it faced him, Tex laughed at the literal face on the front of the vehicle. The robotic, yet stubbly face of Bravestarr’s new deputy sneered at Tex. “I don’t know who you are, but Cy-Kill does not take two attempts on his life kindly.” Twin red beams shot out of his eyes and met at the front of Tex’s Skull Walker. He hopped off his mount just before it exploded into a ball of bright white sparks. “I work for no one,” Cy-Kill responded with another blast from his eyes just barely missing Tex’s feet. He regarded the purple human for less than a second before spinning around again and riding off. Humans were of little concern to him, no matter the color of their skin. “Nuh-uh-uh,” Tex said, slinging a finger towards the bike. “I can’t have you going to Fort Kerium.” A blast of white energy shot out his finger tips and arced towards Cy-Kill. Cy-Kill’s tires threw a plume of dirt into the air, but he was no longer moving forward, trapped in an energy cage. He lost all traction as he was flung into the air with a wave of Tex Hex’s arm. “Ha!” Cy-Kill bellowed as he flew upwards, “The sky is my second home! 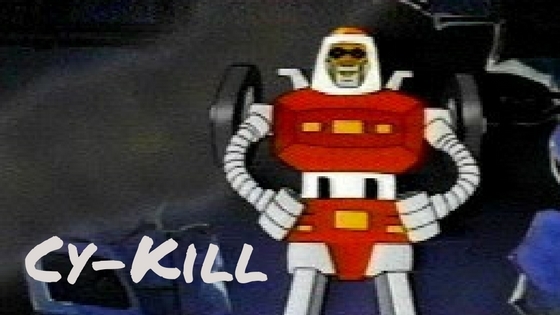 Go-Bots can fly, you simpleton!” At the peak of his ascent, Cy-Kill’s body contorted in a deep whirring sound. Arms pivoted, legs stretched out, and the tires flew to his shoulders. Floating above Tex, Cy-Kill flexed his gleaming robotic body. “So you do change shape,” Tex Hex said, more sure than ever that he was Thirty/Thirty’s replacement. “Whatever happened to that loudmouth that Bravestarr would need a second ride? Doesn’t matter, I’ll do the same to you!” Tex sent a barrage of energy beams at the robot with his blaster. Cy-Kill danced around the shots. “Your measly weapons can’t hurt me,” he said, returning fire with his own blasts straight from his cylindrical fists. Tex Hex rolled away from the blasts as pockets of dirt exploded around him. “I think I need to bring you back down to earth.” He held out his hands and fire spit out ant the still lingering clouds of dust. They glowed and changed shape, forming into a pair of massive flaming serpents. The launched up towards the robot. Shooting a stream of energy from his fists, Cy-Kill managed to pulverize one of the fire snakes back into a pile of dirt, but the other reached his legs and coiled around him. Though the Go-Bot struggled against the snake, it constricted tight enough pin Cy-Kill’s arms against his torso, unable to shoot from his hands without risking hurting himself. Unable to hold himself and the monstrous serpent aloft, they crashed to the ground. He shot the beams from his eyes, but the they only sliced through the skin of the snake without loosening its grip. “If I can’t stop the snake, I’ll stop the snake-charmer,” He said and fixed his gaze at the mystical outlaw. Red pinpoint beams shot out, streaking towards Tex. Tex stared down the attack and changed his form into a dust devil, the energy shooting straight through him. The miniature tornado circled around Cy-Kill, avoiding subsequent blasts that failed to track him. While struggling against the snake to shoot behind him, Tex’s sandy form wafted onto the back of the snake before rematerializing. 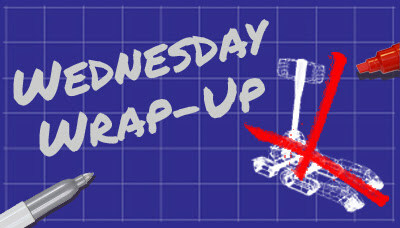 With the snake coiled around almost every inch of the Go-Bot’s body, Tex Hex took aim with his blaster at the only exposed part – the top of Cy-Kill’s head. He fired a single shot and the metallic skull exploded, exposing the robot’s organic brain. With a snap of his fingers, the snake disappeared and Cy-Kill’s body fell limp to the ground. Laughing a high-pitched cackle, Tex Hex stomped Cy-Kill’s brain into the dry desert floor. Click here for the respect thread. Just like in the last round, Tex Hex has a much bigger arsenal of powers than his opponent. Granted, Cy-Kill's powers are impressive, but he's not really capable at close range, where Tex was able to trap him. His conversion only allows him a second means of escape besides flying, giving him no extra defensive or offensive powers. And while he does have some strong energy blasts, they don't do much against a guy who can change into a cloud of smoke or dust. And lets not forget how easily Cy-Kill was injured when he lost his arm. 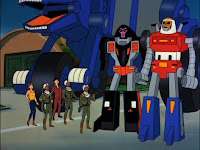 Go-Bots show their characters being damaged really easily - Turbo was almost killed in the first few episodes, as well, so it's not too hard to believe they'd die from a well-placed blast to the noggin, especially with an organic brain inside. 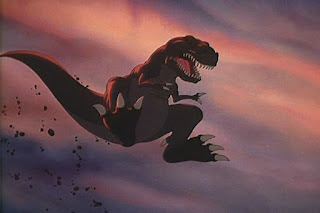 Two Blogathons in a row about Don Bluth's movies? I didn't plan it this way, but when will I ever be able to talk about his movies? 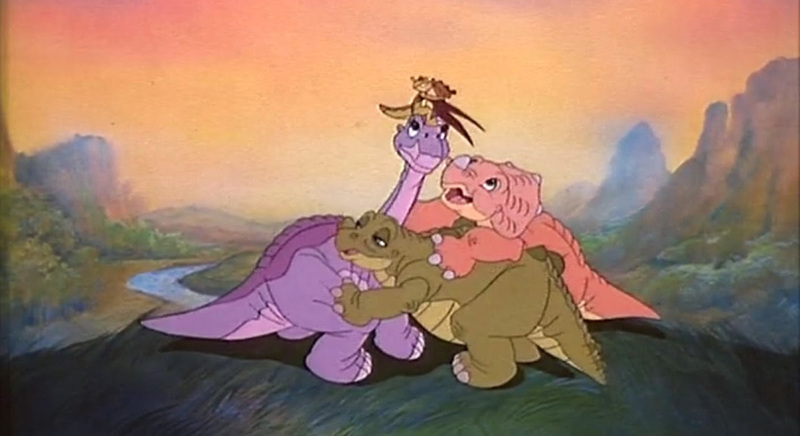 Land Before Time is probably Don Bluth's most famous movie. So it's a wonder I've never fully watched it before. Maybe it was because of the massive string of direct-to-video sequels it spawned, none of which Mr. Bluth was involved in. For some reason, they all became musicals as well, and unfortunately for them, they didn't have the excellent James Horner to score them. 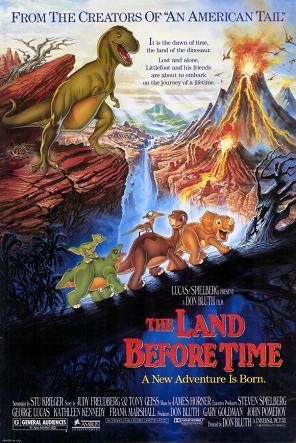 The original story follows Littlefoot the Apatosaurus searching for a hidden valley after his mother is killed by Sharptooth the T-Rex and he's separated from the rest of his family. He meets a few friends and overcomes the prejudices they were taught against the other species. It's a great story, dark when it needed to be like Bluth's stories usually are, but a little too cute for my tastes the rest of the time. I guess I preferred my dinosaurs to be aliens or robots. James Horner's score is great here, balancing scary panicked music while Littlefoot's mom fights off Sharptooth with a light, playful melody while a bunch if flier children fight over a berry. In truth, I wasn't too familiar with his work before researching this blog post. I'd heard his name some places, but John Willians and Danny Elfman were the only composers I could recognize. And here I found out some of the stuff I thought they did, was Horner's work after all. So many movies! Anyways, back to this movie. I'm glad I took the time to finally sit down and watch this one. It's a cartoon pedigree, watching the movies Mr. Bluth made after he split from Disney. Though this one is far from my favorite, that is still held by NIMH, this one is still a great kids film, and one I had to watch without my wife since she said she'd cry through the whole thing. And I can see why. Bluth's movies had a real darkness to them, not lightening things to avoid scaring the kids, or making them feel sad. And James Horner's score does a fantastic job punctuating that. This post has been made as part of the 2nd Annual Remembering James Horner Blogathon presented by Film Music Central. Please make sure to check out the other great posts about this fantastic composer! Sorry for the delay, but Round 2 is a go! This time we're pitting the leader of the Renegades from Gobotron, Cy-Kill, against the mystical cowboy, Tex Hex. Cy-Kill's feats were pretty easy to track in his first thirteen appearances, but Tex Hex gave me some of the same problems as the Queen last round since he didn't show up in about five of the episodes I watched with the Dingoes being the antagonists in the others. I was a bit surprised by that, thinking Bravestarr would go the same route as He-Man and the Masters of the Universe, which had Skeletor being the main bad guy in about 99% of the episodes. Either way, I was still able to get plenty demonstrations of his powers, which were a little more definable than his skull-faced compatriot. Let's start with Cy-Kill. Being an alien robot gives him some pretty obvious advantages. He's made out of metal, he can turn into a motorcycle, and he has all sorts of energy weapons. Like the rest of his robot kin, he shoots powerful blasts from his fists instead of having handheld weapons, so he's never truly disarmed. He also is able to shoot energy beams from his eyes, something he can use in his alternate mode (which looks incredibly stupid, I might add). Size-wise, he looks to average about 11-12' tall, though that fluctuates quite a bit. In one episode (Renegade Alliance), he survives getting his arm blown of without as much as a cry, but considering the Scooter survived a similar crash unscathed, I'm not sure if that's a positive or not. and with all evil robots, Cy-Kill can fly. Tex Hex's powers are mostly based around a western theme. Rescued form the brink of death by the mystical Stampede, Tex Hex gained a slew of magical abilities. Blasts from Tex's fingers and eyes can do a whole slew of things, but the most common ability I saw had to do with summoning snakes. He was able to create giant flaming serpents by either shooting the smoke from a fire or a handful of dirt he'd thrown in the air - most of them being between 12 and 30 feet long, and one of them big enough for him to ride on. Not all of them are big though, as he turned a prospector's claim into a little lizard once. He can also shoot people causing them to levitate in the air, one time lifting two people a few feet off the ground and another sending one of his goons across the desert. Lastly, he once turned into a big ugly monster, but was still soundly beaten by Bravestarr, so it's not certain if this change granted him any extra strength or abilities. Having previously been an outlaw, Tex Hex also relies heavily on his blaster and though it has shown to do some weird stuff a time or two, it generally acts as just a gun, but powerful enough to blow a whole in a ship. Since every villain needs a quick means of escape, Tex Hex has the ability to turn himself into smoke or sand and fly away. Even though he's shown the ability to teleport in a flash similar to Skeletor, this smoke/sand power is a lot more commonly used. Both of these villains are pretty powerful and have a decent range of abilities, but which one will come out on top? Find out next week! It's been a busy week! 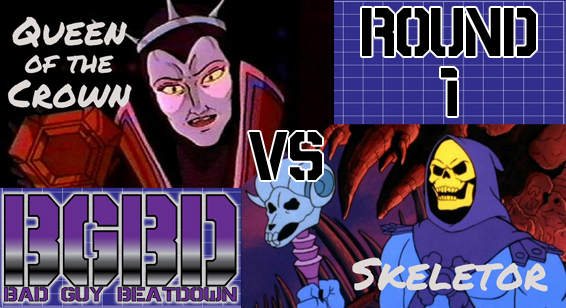 Monday, I posted the results of the first round of Bad Guy Beatdown, where Skeletor wiped the floor with the Queen of the Crown. It was a great fight and I had a blast writing the little battle for it. In fact, that's the only writing I've done in the last few months and it felt like a relief still being able to spit out a story. 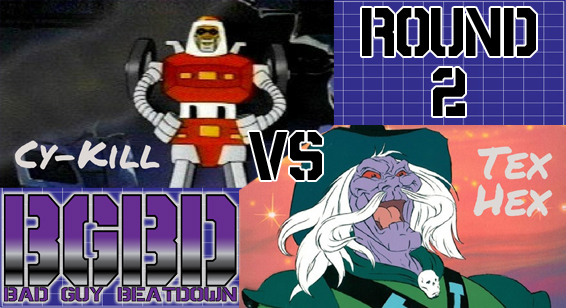 Next battle is going to be Cy-Kill from Go-Bots and Tex Hex from Bravestarr with the respect post coming this Monday. 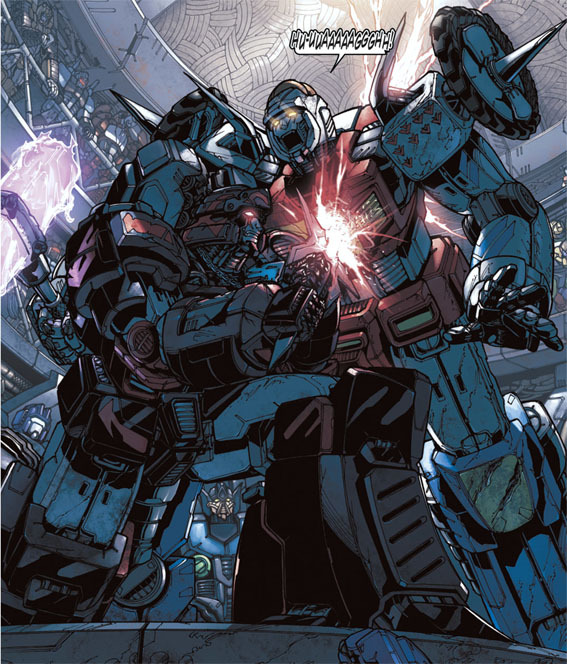 I was really hoping to have the Renegade square off with Megatron, but that's such an oft-written battle with Megatron coming out on top every time, so I'm okay at least delaying the fight, assuming Cy-Kill survives his first round. 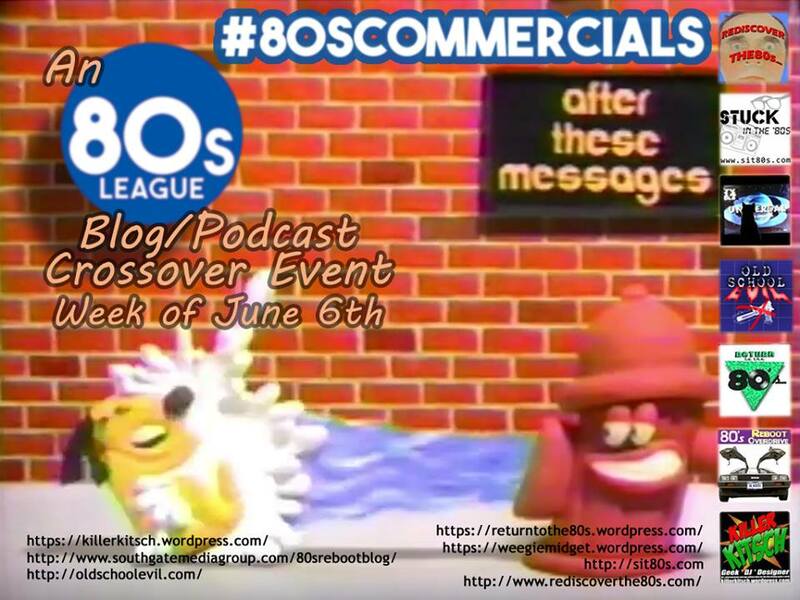 Yesterday, I coolaborated with the 80s League in another monthly crossover event, this time looking at 80s commercials, specifically looking at the ones for the toys that the cartoons they were showed during were based on. Man, that's a confusing sentence to write. There are a few Leaguers still writing their posts so I'll be updating it throughout the week with links to their stuff. Another new thing going on lately is I've just joined a second writing group, this one focusing on reading completed novels from other writers and giving whole critiques on them. This group will be looking at the big picture of a book and instead of giving feedback on minor details and bad grammar like my other group does, will be looking at things such as plot holes, continuity, and theme. I'm really excited for it because that means I'll be one step closer to publishing Old School Evil. After that, I've just got to make up a cover, write out a few blurbs, and hopefully I'll be able to publish that sucker so you all can read it. The 80s League is back at it this month and we're taking a look at our favorite commercials from the best era of television. Check out the links below to see the other leaguers' favorites and I'll keep adding them as they pop up. within toy adverts - the only break we had was cereal commercials and half of those were tie-ins to the cartoons we were watching. What a time to be alive! As exciting as the cartoons were, the commercials had to be doubly so to get a kid's attention in such a short span of time (you know, in case it wasn't aired in the middle of a cartoon or something). Take a look at the above Transformers commercials - you had brand new animation for the commercials that looks a little better than the show themselves, the toys rolling around through massive sandboxes, a kid with picket-fence teeth and glowing eyes who later transforms himself into a robot - all sorts of awesome stuff. And you have to love the "Does Optimus Prime Die?" promotion for Transformers: The Movie. Another great thing about these commercials is that the cartoons were limited to what figures and toys they were able to put on screen - there was only so much time and room in the cast list. 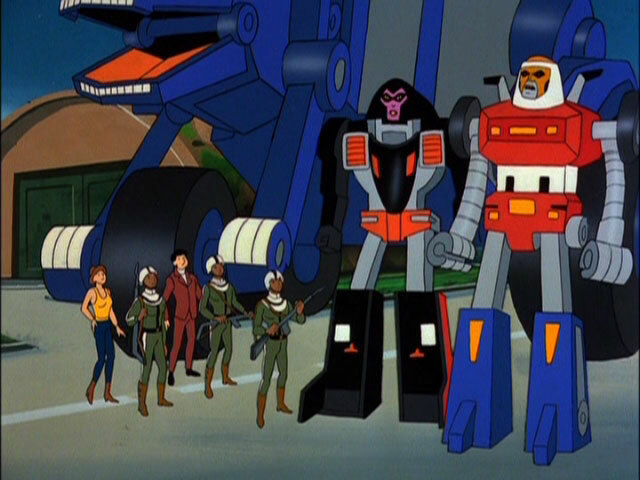 Though the cartoons were mandated to feature certain toys (leading to characters based on older toys being written out or just disappearing from the show), not everything could be featured. These commercials were the only place you'd see certain characters and accessories. Watch the He-Man commercials above and around the middle of the video, you start seeing a ton of stuff that never made it to the cartoon. And for good reason, because they got freaking weird. It's amazing how many commercials we got, especially when going through old videos and seeing how many you might have missed as a kid. As much as I loved watching Transformers, I don't really remember any of the commercials they aired. And I'd grown out of some of the cartoons by the time He-Man was introducing the light toys and electric playsets. But what I wouldn't give to have that awesome Eternia toy! 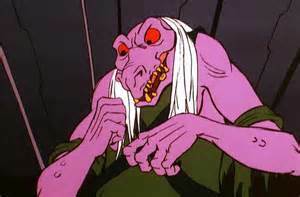 “Skeletor!” Evil-Lyn shrieked through a mental projection into Snake Mountain’s throne room. The skull-faced evil warrior sat up from his chair where he was spinning a crystal and contemplating his next move against Castle Grayskull. The witch’s face materialized in the glass sphere sitting atop the table in front of him. “What do you want, witch?” he yelled. “I’ve been captured! You must free me!” she cried. The vision the viewer displayed showed her locked in a glass cylinder in the middle of a mechanical red room. “Who are you?” Skeletor shouted, leaning into the image. “Once I steal the magic-infused life-force of your traitorous minion here, I’ll raise an army of Slaver Lords to take over your measly planet before moving on to the rest of the galaxy.” The image reverted to Evil-Lyn, still stuck inside the transparent tube but now the mechanical implements at the top had come to life with electric sparks. The device in Evil-Lyn’s tube surged with electricity and coursed through the witch’s body, sending a scream through Skeletor’s crystal ball loud enough to crack its surface. “I should let the Queen do whatever she wants to you for turning against me again, fool. But no one threatens to take over Eternia but me!” He held his Havoc Staff over his head and disappeared in a flash. Within the lab on board her starship, the blue-skinned man shimmered into existence directly before the Queen. “That’s his real face?” one of her guards said as he materialized. “Silence, fools!” the Queen said. The two agents snapped to attention. “Release Evil-Lyn now,” Skeletor demanded, pointing his staff at the glass tube still cascading electricity through her. The ram’s head glowed in white light. “No one threatens me!” Skeletor shouted, blasting a white beam of energy at Evil-Lyn’s prison and shattering the glass holding her. Evil-Lyn collapsed out of it and with another flash of light from the staff’s head, Skeletor teleported her off the ship into Snake Mountain. “No!” the Queen screamed, pointing at the console to her left. “I hadn’t drained enough life-force from her to even power an ordinary Slaver Lord!” She turned her attention to Skeletor who even without the flesh on his face, she knew was grinning at thwarting her. “Crown agents, seize him! If I cannot steal the witch’s life-force, I will steal this monster’s!” The two agents at her side aimed their rifles at him. Skeletor’s head craned back with a hearty laugh. He pointed his staff at the two guards and a spray of green gas erupted towards them. In just a moment the two agents collapsed to the floor in a deep sleep. He turned the staff towards the Queen. “I expected more from you!” he said with another deep laugh. “Oh, I have better!” She swiped her hand toward the evil warrior and a wave of pink telekinetic energy surged outward. Skeletor held up his hand to the attack, reflecting the energy from his palm and sending it above her. She lunged to the right just in time to avoid the falling debris. “Let me show you true power!” He pointed his staff to the throne behind her and blasted it, destroying the chair in a cloud of smoke. 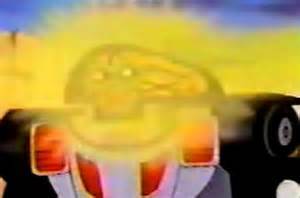 “No!” Skeletor screamed, shooting a beam of light from one of his fingers into the Slaver-Lord’s face, obscuring the illusion floating above it. He slammed the end of the staff to the ground and a shining blast exploded, blinding the Slaver Lords around him and causing the Queen, who had been seeing through each of them, to cry out in pain. The figures surrounding Skeletor collapsed to the ground. As the Queen struggled to get to her feet, she concentrated what was left of her mental powers on the blue-skinned foe. She reached out telepathically, sending out a wave of maddening energy deep within his mind. Skeletor clutched at his skull and fell to his knees, the Havoc Staff clamouring on the ground beside him. Images of the Queen danced in his burning consciousness. He crushed the gem in his hand. The psionic feedback flooded the Queen’s mind and she cried out in pain. Skeletor destroyed two more before the Queen was rendered unconscious. With each psychocrystal destroyed, the Slaver Lord it was attached to had shimmered from existence. He shattered the gem from the final Slaver Lord for good measure. With all his enemies in the Psychocrypt defeated, Skeletor took the glowing crystal from the machine that syphoned Evil-Lyn’s life force and affixed it to his Havoc Staff between the ram’s horns. A new midnight blue Slaver Lord materialized before him with a glowing skull floating over its hooded head. Skeletor roared with laughter as the Queen lay comatose at his feet. 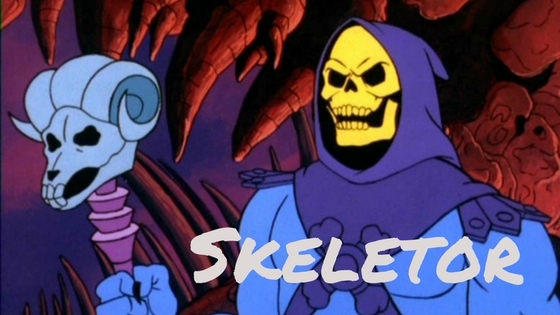 Skeletor's powers are much more well-rounded than the Queen's, being able to shoot explosive blasts from his staff and his fingers and being able to manipulate his surroundings as well. While the Queen was powerful in the Psychocrypt, his powers weren't strong enough to subdue him. The major disadvantage she had is with her Slaver Lords who, while letting her see and hear anywhere they are, have no other discernible strengths. In the end, Skeletor's abundance of powers won out.